ClearCorrect Aligners are clear braces that show off your smile, so most people won’t even notice you’re wearing them. Looking for an alternative to traditional metal braces or Invisalign® clear braces? Dr. Cancelliere offers ClearCorrect, a clear and simple alternative -clear braces. They’re practically invisible! ClearCorrect clear braces straighten your teeth invisibly, without metal braces. With the Clear Correct system, uncomfortable and unsightly metal braces are no longer necessary for a beautiful, straight smile. 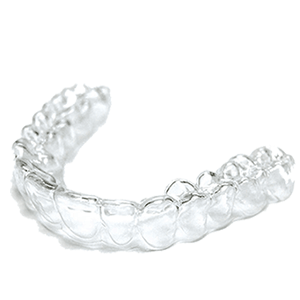 ClearCorrect straightens your teeth using a series of clear, custom, removable aligners. Each aligner moves your teeth just a little bit at a time until you eventually get straight teeth. The system consists of a series of clear aligners that are custom-made for you, so the end result is a comfortable fit that gradually straightens your teeth. Over half a million people have opted for this convenient, easy system. Removable: It’s easy to remove aligners and eat whatever you like. There are no wires to trap food or get in the way when you floss. Get Evaluated: If you’re a good candidate for clear aligners, we will take photos and x-rays, use a scanner or impressions to capture the shape of your teeth, and submit your prescription to ClearCorrect. Wear Your Aligners! We will check your progress and give you new sets of aligners every 4–6 weeks. You’ll wear the aligners for at least 22 hours per day, progressing through each step until your treatment is done.